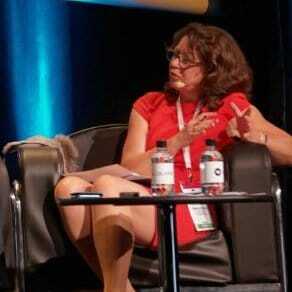 Liquidnet has fortified its European team with Rebecca Healey as its Head of Market Structure and Strategy. Liquidnet, a worldwide institutional trading network, has on-boarded Rebecca Healey as its newest Head of Market Structure and Strategy with immediate effect. She joins the company from the TABB Group, according to a Liquidnet statement. Ms. Healey heads to Liquidnet after a lengthy career in the European equities and fixed income markets. In her new role as the Head of Market Structure and Strategy she will be reporting to Mark Pumfrey, Head of Liquidnet Europe. In this capacity, she will help foster and guide the group with regional research and insights, especially in the aftermath of the Brexit referendum, which places the EU in unchartered waters. She lands at Liquidnet from the TABB Group, having worked as its Principle European Capital Markets Research Analyst and Consultant for the past five years. Additionally, she has held senior level consultancy roles at Incisus Partners, as well as stints as a UK Trade and Investment Officer for the British Embassy in Bahrain, with roles in the banking sector – this included eTrading and other various roles at Credit Suisse and Goldman Sachs International, according to information made public on her Linkedin profile. “Working with Liquidnet in EMEA Market Structure and Strategy will enable me to specialize, focusing on European equities and fixed income, to understand members’ challenges and work with the Liquidnet team, as well as wider industry partners, to help resolve those issues,” explained Ms. Healey in an accompanying statement.